Who said dinner had to be long and complicated? When your schedule is full during the week the LAST thing you want to do is cook a complicated meal. 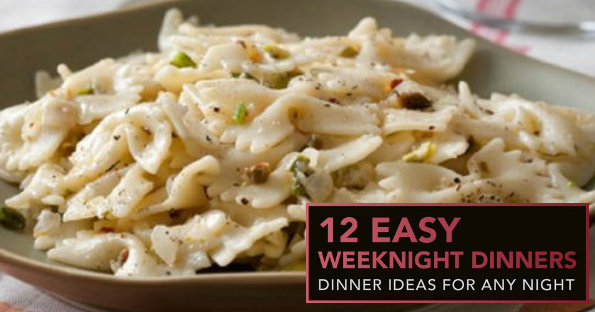 Subscribe to the Cookstr Email and get the FREE 12 Easy Weeknight Dinners: Dinner Ideas for Any Night eCookbook! This cookbook makes it super SIMPLE to make something good for diner in just a little time. I love it because I can have the recipes saved in my tablet in the kitchen instead of shoved in my kitchen drawer!